Graded FAIR 20 by SGC. 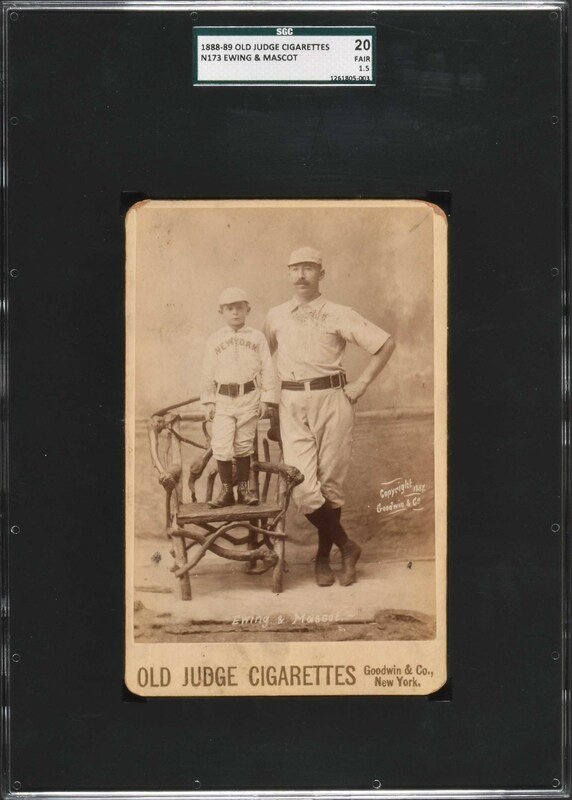 Extremely striking N173 Goodwin Old Judge cabinet card featuring one of the most unusual and memorable images to ever appear on a baseball card: New York Hall of Famer Buck Ewing and team mascot, Willie Breslin. In addition to being a very desirable Hall of Famer, the pose of this card makes it one of the most interesting images to appear in the Old Judge set. The youngster is dressed in a miniature New York Giants uniform, true to form in every detail to those worn by the players. This example has exceptional photo quality. The card has moderate wear to the corners (predominately the top left and right), with some light surface wear and soiling. 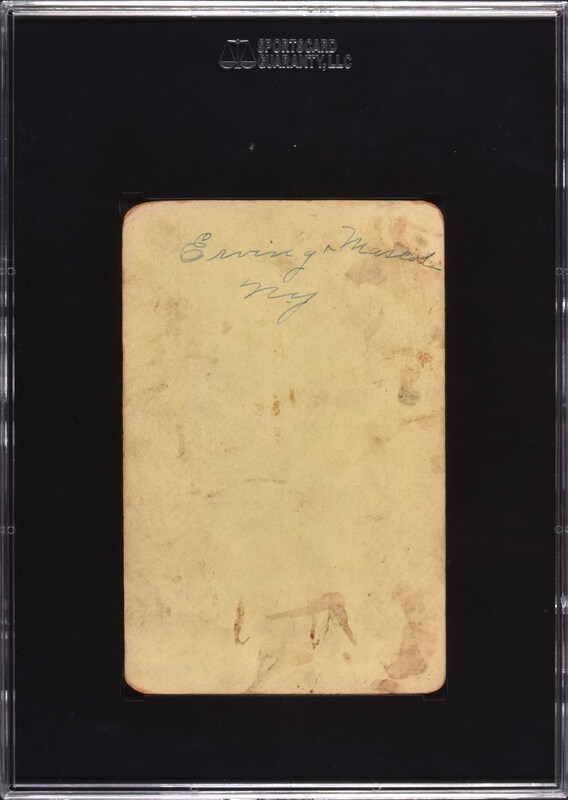 The blank reverse has light staining and a blue ink identification notation (reading “Ewing & Mascot – NY”), both common flaws for N173 Old Judges. The harsh SGC grading is due to these minor flaws, especially the writing on the reverse. The card clearly has an appearance far superior to its technical SGC-assigned grade. This is an outstanding example of one of the most unusual and memorable of all nineteenth-century cards, featuring one of the most prominent Hall of Famers of the era. Reserve $2,000. Estimate (open).